We’re pleased to launch the Edinburgh International Festival’s very first tailored App, to accompany the Virgin Money Fireworks Concert, the VMFireworks app, designed for all ages to learn about the music and have some fun. The concert is the spectacular conclusion to Edinburgh’s summer festival season, held this year on Sunday 31st August 2014. The Scottish Chamber Orchestra play live while a breathtaking fireworks display takes place, specially choreographed by international fireworks artists Pyrovision. Fireworks have certainly been flying, fizzing & popping in the Hippotrix studio! We’ve been animating swirls and rockets, against the dramatic backdrop of Edinburgh Castle, working along to Tchaikovsky’s 1812 Overture and as a result you too can choreograph your very own firework concert – go on have a go! Check out the iconic Edinburgh Castle background. Watch out for the finale waterfall. 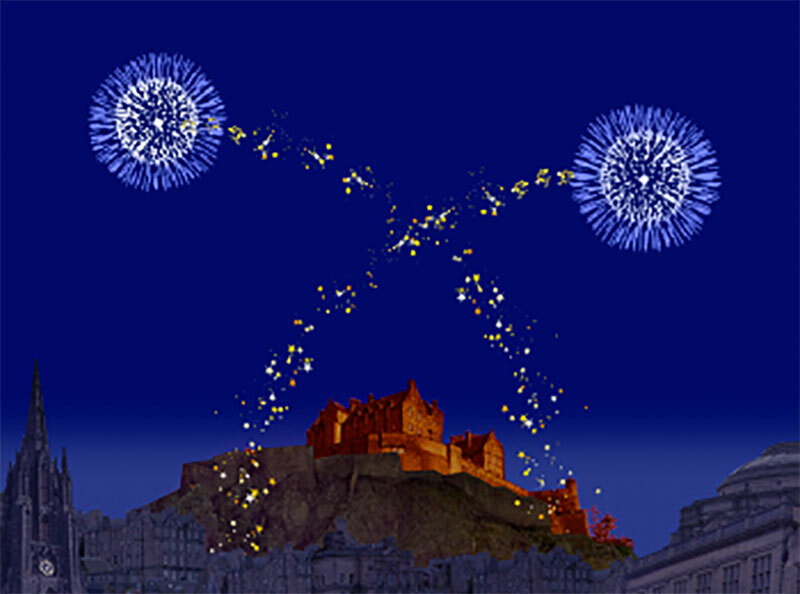 Whether you are at home or in Princes’s Street Gardens for the fireworks, download the free app to your iPhone or iPad, so you can hear the music and design your very own fireworks concert against the iconic Edinburgh Castle. Download and enjoy the free app #vmfireworks. Your feedback via the app store or social media is very much appreciated – thank you!